And the way it came to me is a little bit funny. A friend of mine living in the USA came back for a month, so I asked her to bring me a bottle to try. I have received 4 bottles as a birthday gift. Now she has a birthday. Guess what she received - a thank you pouch. Another idea to use letters and hearts - I have paper pieced them and added denim fabric around. 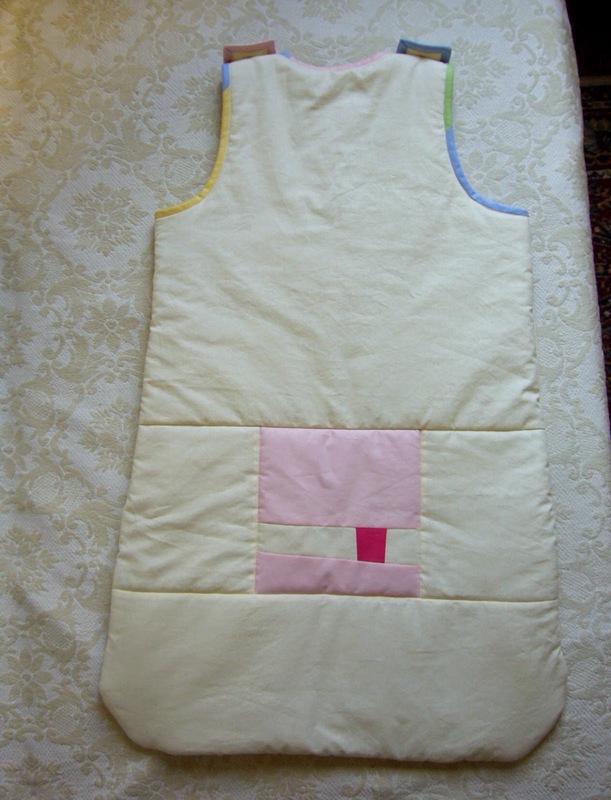 After some discussions about size, closure (zipper or buttons) and batting's thickness I am happy to introduce the second part of baby present. I wish you the sweetest dreams. My friend's daughter is going to study in England. Do you remember the graduation bag I have made for her? Now I want to make something that will make her happy when she is homesick. A cozy cushion seemed to be a proper decision. 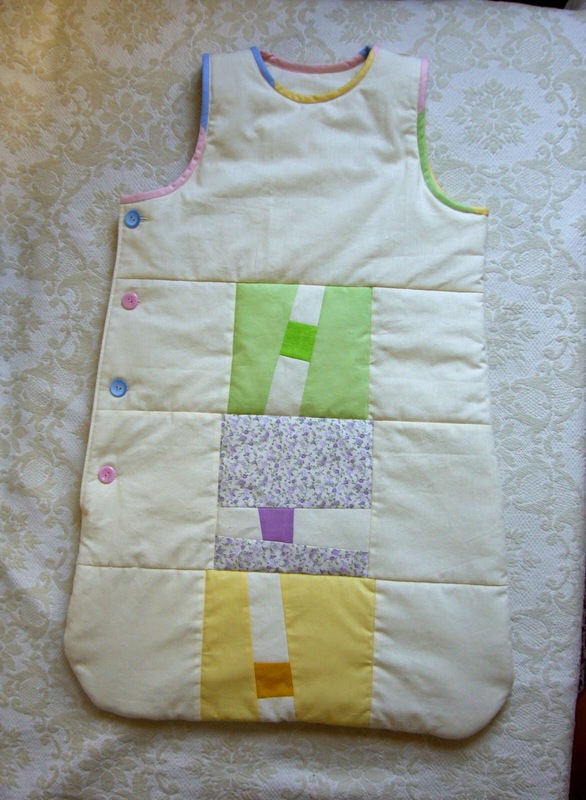 The block "Old time learning" I have designed for the College day Hop was an orphan and I thought it will be great base for a pillow case for a young student. Download for FREE block from here and make one for you of your friends' children. The block is 10" finished so I have added 3.5" strips left, right, up and down. 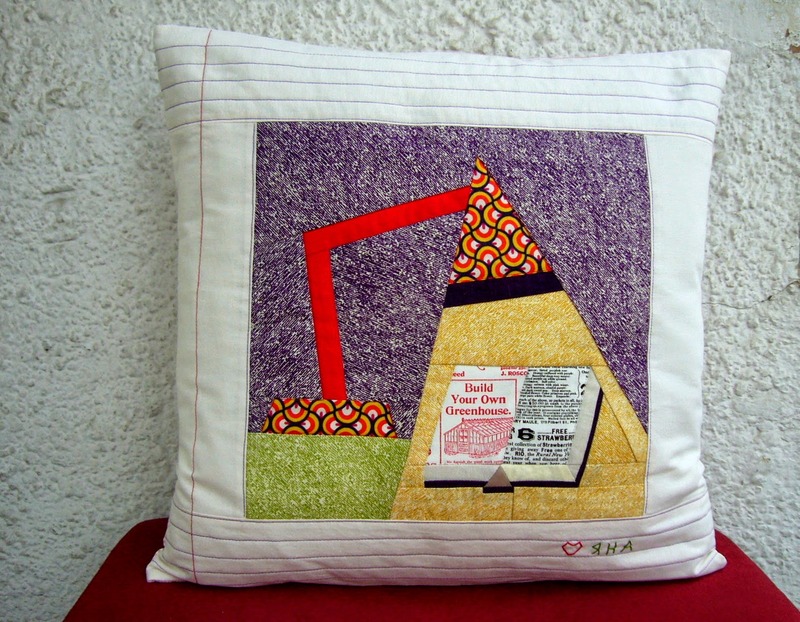 This makes 16" finished size which is standard pillow insert. 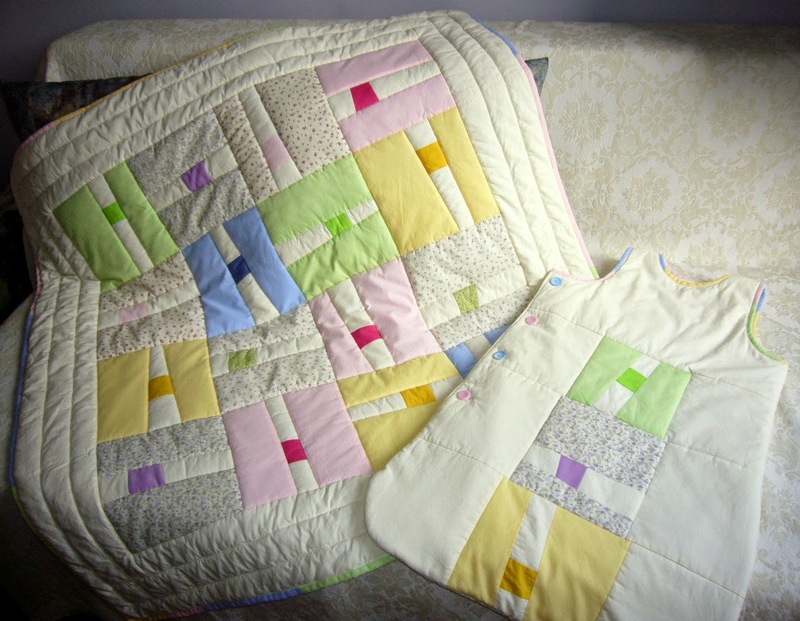 Add thin batting and backing and quilt. I am very proud with idea adding quilting as notepad - dark violet for rows and red for the margin on the left. The back is envelope closure. Happy sewing to you and happy learning to all students! Lily Pad Quilting is having a Pets on Quilts Show 2014 and I would like to enter the "dog or puppy on a quilt" category with this mug rug. 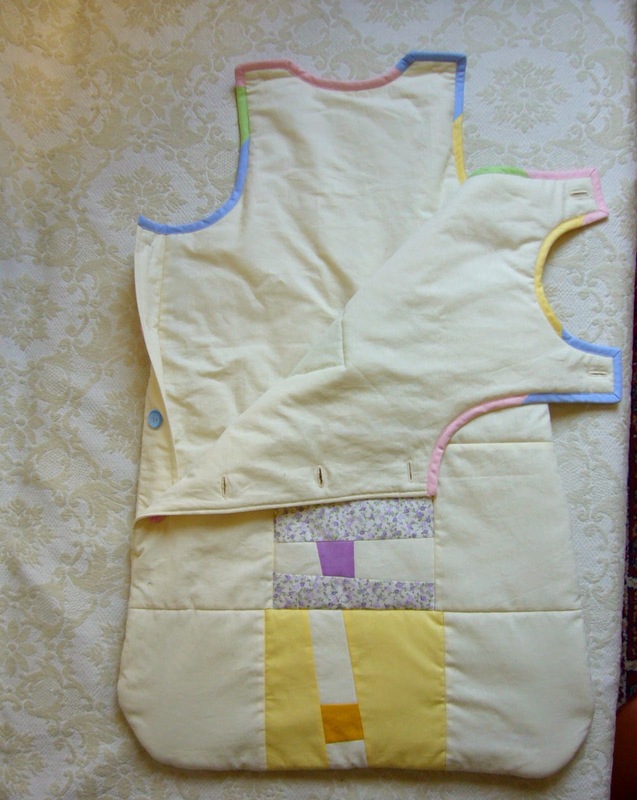 It is made by my design and pattern. They are three mug rugs in fact - the gentleman, the lady and the baby as a result of the love story. But this one is the first and my favorite. Last my giveaway is back in the history. Check your mail and go sewing! 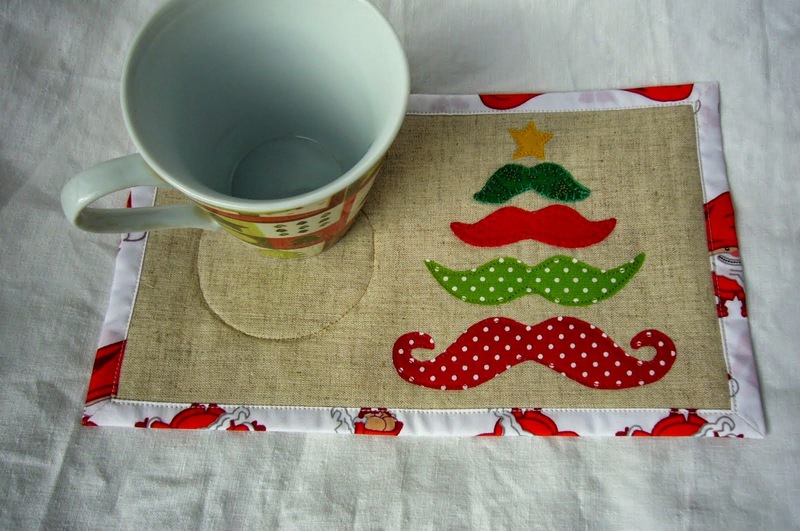 There is plenty of time till Christmas, but you may make several mug rugs.